Dream India’s ‘Dream Catchers’ initiative started with the idea of taking children to modern day work spaces and expose them to the jobs available in these spaces. 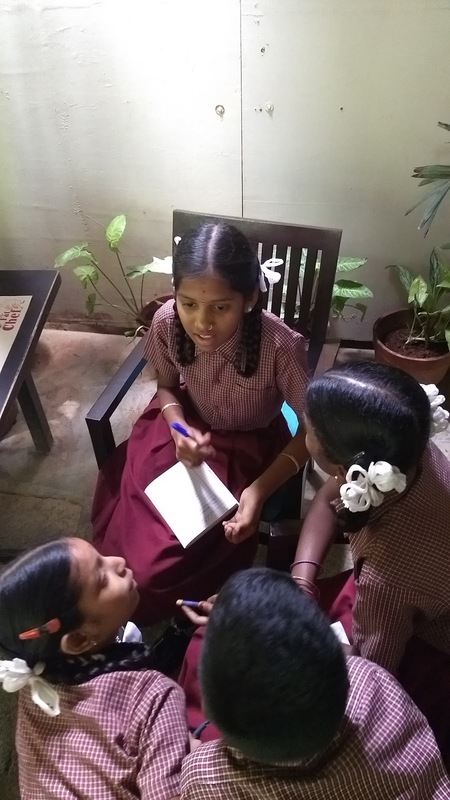 The hope is that they would then dream beyond the jobs that usually youth from their (Economically backward) communities get into. This would also result in improved performance in classrooms due to the added motivation to study hard. Fat Chef, a multi cuisine restaurant based in Whitefield, Bangalore, agreed to be the first business to co-experiment this idea with us. 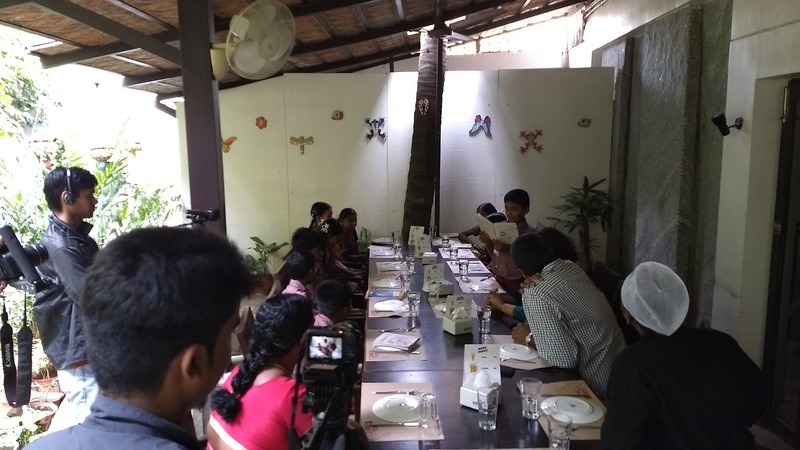 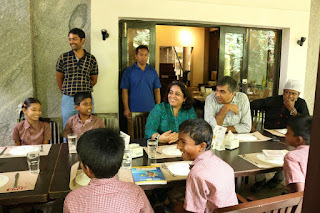 Due to the limited space available in the restaurant, we agreed to bring in 10 children from the nearby government school (Ramagondanahalli) to visit the restaurant during a working day, for about 2 hours. 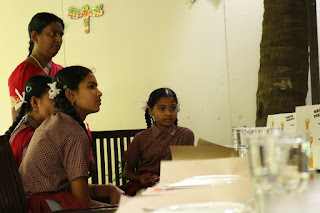 So 6 girls and 4 boys from class five, accompanied by their teacher and volunteers and videographers from Dream India walked the 10 mins from the school to the restaurant. 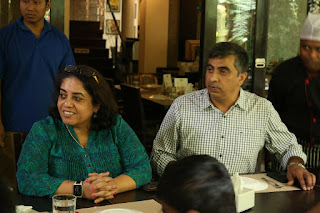 They were all greeted with a welcome drink and a brief history of the restaurant by the founders Vandana and Matheen. 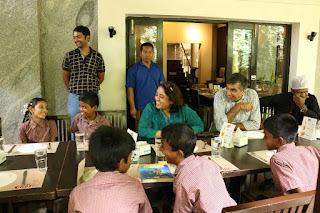 The kids were then quickly shown around the place – the reception, the store room, the service area, the kitchen, and the wash areas. They were then split into two groups and one group was taken to the kitchen and the wash area, while the other was shown the service area and the store rooms. 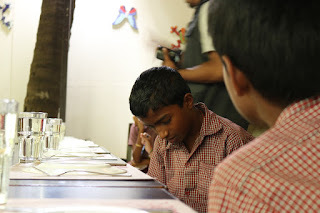 The staff from Fat chef took pains to explain each and every aspect of their work and why they did what they did. The teams then interchanged and went through the other experience too. 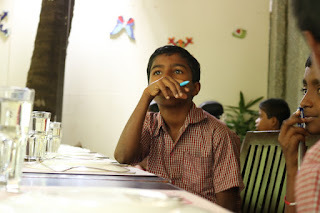 Then we gave the kids some lone time to sit and discuss what they had observed and to come up with questions if any. 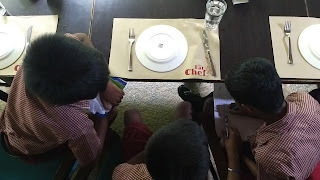 We also divided them into groups and asked them to write down what all they would consider if they were to open a restaurant of their own. 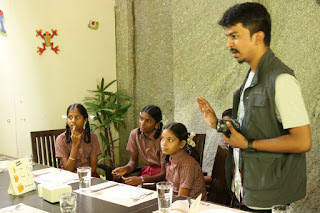 The teams then presented their ideas of opening a restaurant. The different staff members, most of whom had been with Fat Chef for more than a decade, spoke about their growth journeys, how they learnt new stuff, etc. 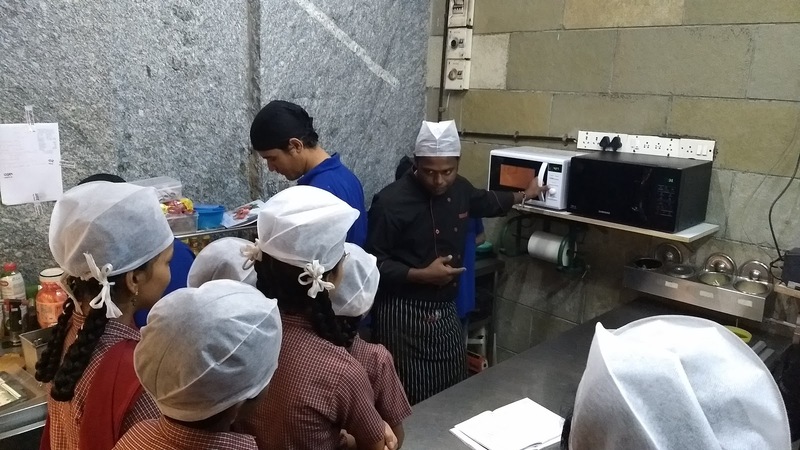 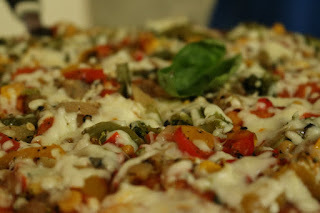 The kids had some questions which the staff clarified too and then the day ended with finger licking pizzas and hot, irresistible brownies! If you know more businesses that could help host children like this, let us know by writing to us at admin@dreamindia2020.org. 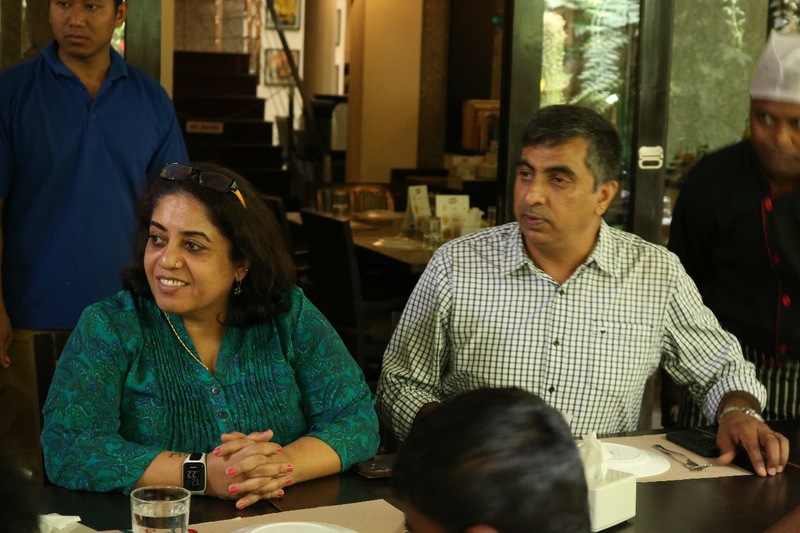 Businesses could be anything from Metro rail repair and maintenance sheds, Flipkart handling godowns, Chumbak design studios, Taj hotel, Sports academies etc.